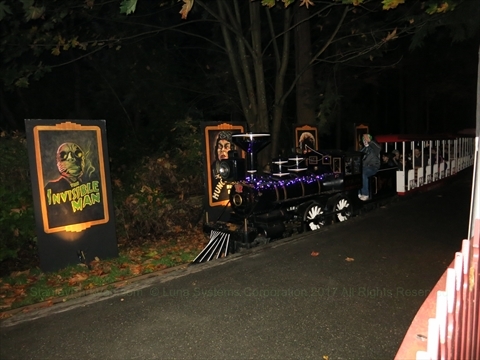 Every year in October the Stanley Park miniature train operates with a Halloween Ghost theme! 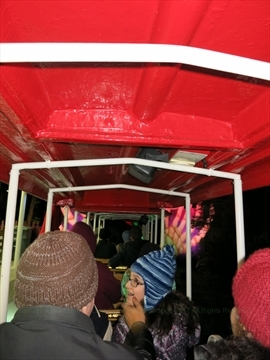 Along the route of the train are a number of fabulous scary sets with live actors making the scenes come alive! Each year the theme is different. 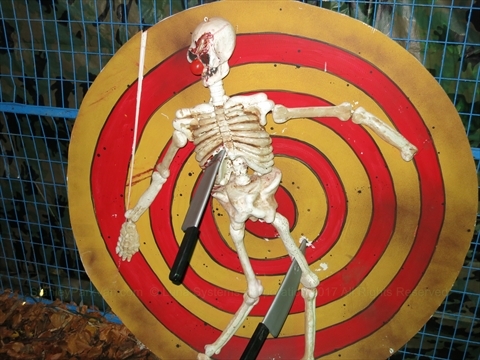 In addition to the miniature train ride, there is a haunted maze, haunted barn, pumpkin patch, crafts, movies, exhibits, food vendors, and other activities at the Stanley Park Junction. You need to purchase tickets to go on the miniature train ride and for some of the activities such as the haunted barn and pumpkin patch. Tickets are sold online and on-site. 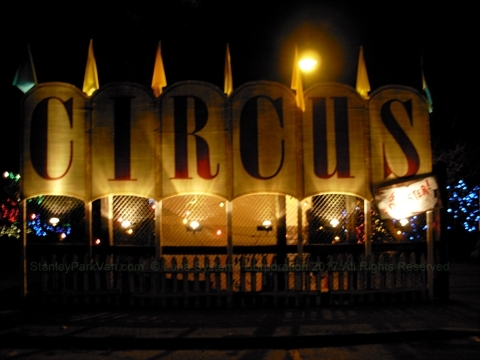 It gets very busy right closer to Halloween night and many of the core times sell out! Tickets are sold for half-hour time slots which guarantee you will get on the train around the END time of the slot. You should line up for the START time(or earlier) of your time slot. There are matinees during the day for the younger children. During the matinees, the train ride operates, but there will NOT be live actors. This train ride is probably not for the really little children as it will probably be too scary for them, but the older children and adults will love it! Remember to dress appropriately. You may have to wait in a line outside for your boarding time. It may be rainy, cold, and/or windy outside. The train has a roof, but you may still get wet and cold so be prepared! The theme for 2018 is "Jack O'Lantern's Journey Through the Dark Forest"! It is characterized as "Poor Jack! He may be dead as a doornail but instead of resting in peace, he wanders trapped in an ancient Celtic Halloween world where nothing is what it seems. Join Jack on his journey as his lantern casts a light on floating druids, a 12-foot monster, and creatures barely human. 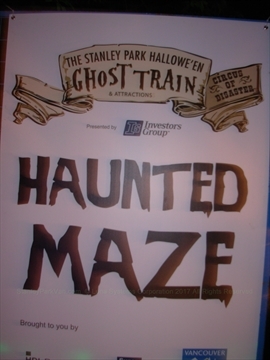 There will be a haunted maze and little monsters maze, crafts, movies, exhibits by the Stanley Park Ecology Society, and a pumpkin patch in the Stanley Park Junction area around the train ride. Additionally, there wil be some food carts around for you to buy food if you wish to eat. The train will operate from October 11, 2018 to October 31, 2018. The hours are Monday to Thursday: 5:30pm to 9:30pm, Friday to Sunday: 5:30pm to 10pm. Matinees: Friday to Sunday: 11am to 5pm. Note that matinees do not have live performances or live performances. Tickets prices for the train ride are: Adults(19-64 years): $12, Senior(65+ years): $9, Youth(13-18 years): $9, Child (3-12 years): $8, Child (2 years and under): Free, Matinee(all ages): $6. Note that it normally sells out as it gets closer to Halloween so we recommend that you buy your tickets in advance. Buy tickets online here: BUY TICKETS ONLINE. Note that tickets are sold for half-hour time slots. A portion of tickets will be reserved for on-site purchases each night. On-site ticket sales start at 3pm Monday to Thursday and 11am on Fridays to Sundays. 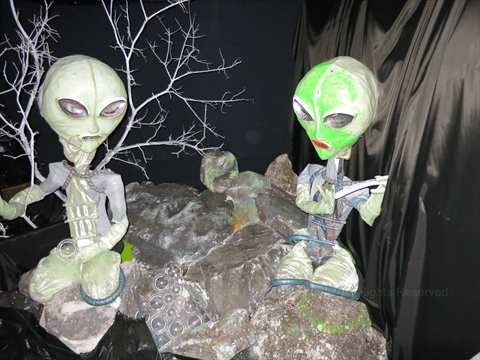 The theme for 2017 was Alien Invasion! This means you saw a bunch of aliens that tried to abduct you! The theme for 2016 was Day of the Dead! This means you were be serenaded by a mariachi bank of cockroaches, and saw the Aztec Lord and the Lady of Death. The theme for 2015 was Horror Classics! 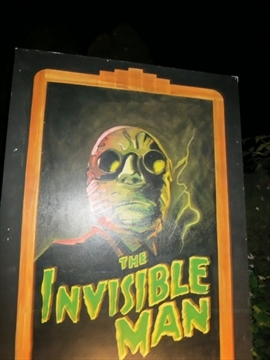 This meant that Dracula, Frankenstein, Phantom of the Opera, and other creepy creatures showed up! 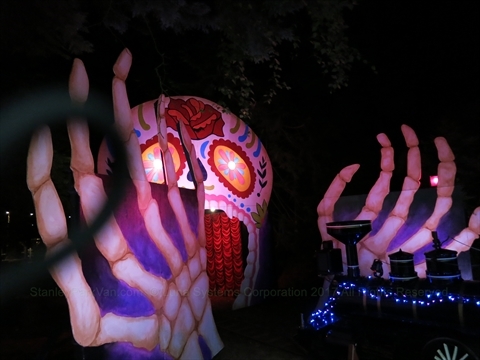 The 2014 Halloween Ghost Train theme was "Mother Goose's Ghastly Garden". Additionally, there was a 'Spooky Barn', pumpkin patch, pumpkin-carving tent, dress-up costume contest, and a latern-lit nature walk! 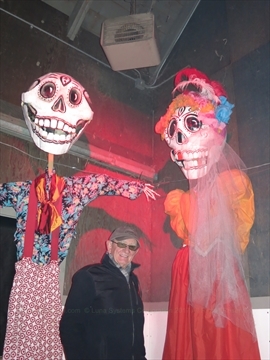 The 2013 Halloween Ghost Train theme was 'Classic Monster Movies'. 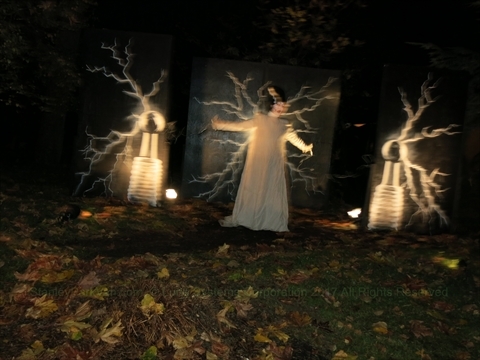 The 2012 Halloween Ghost Train theme was 'Scary Fairy Tales'. Earlier, in 2012, the beautiful little train station burned down. However, the area was cleaned up and the Halloween Ghost Train operated as per usual. 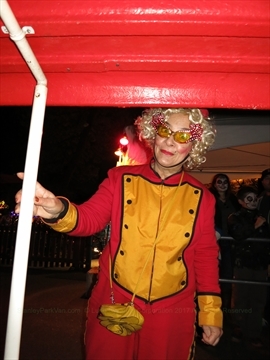 The 2011 Stanley Park Halloween Ghost Train theme was 'Circus of Disaster'! 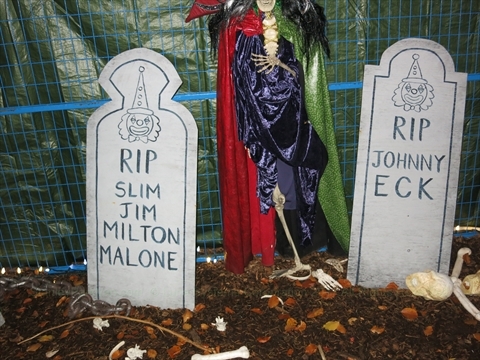 The 2010 Stanley Park Halloween Ghost Train theme was 'Alice in Wonderland'! 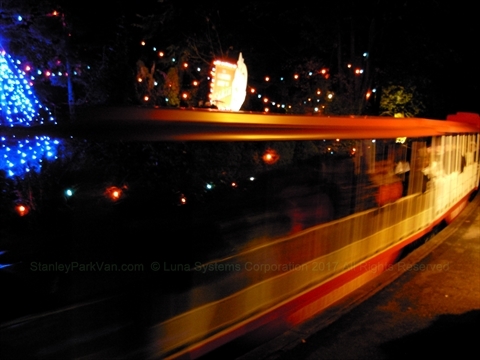 Where is the Halloween Ghost Miniature Train in Stanley Park? 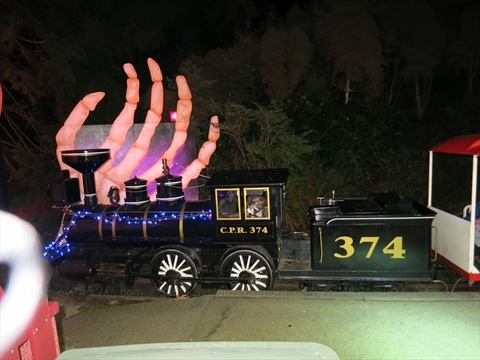 The Halloween Ghost Miniature Train ride and Easter Fair takes place in Stanley Park, Vancouver, Canada. The train ride is located at Stanley Park Junction in Stanley Park. 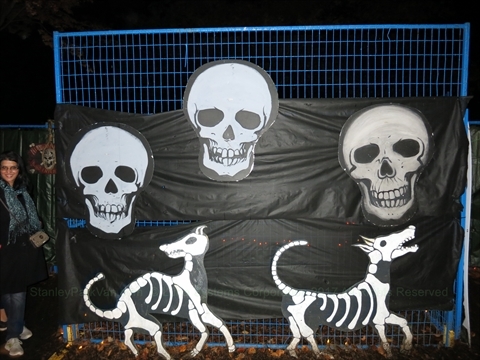 How to get to the Halloween Ghost Miniature Train in Stanley Park? You can get to Stanley Park Junction by walking, bus, or car. Stanley Park Junction is about a 15 minute walk up Pipeline Road into Stanley Park from the Georgia Street entrance to Stanley Park. The Stanley Park (#19) bus stops at the Stanley Park Bus Loop just in front of the Stanley Park Junction. There is a large Parking lot just off of Pipeline Road that is in front of the Stanley Park Junction. There is an overflow parking lot across Pipeline Road.